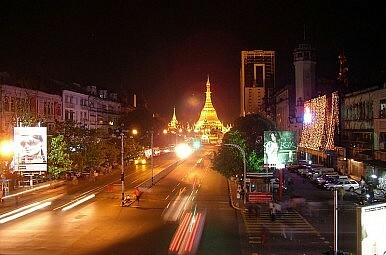 The United States has begin easing sanctions on Burma. Will Thein Sein respond with more reforms? The United States has begun easing sanctions on Burma, allowing it improved access to institutions like the International Monetary Fund (IMF), in response to a raft of reforms announced by the country’s President Thein Sein and his military-backed government. Effectively, the U.S. State Department will lift opposition to assessments of Burma, saying this was in response to the release of political prisoners and democratic reforms including allowing the opposition leader, Aung San Suu Kyi, to run in upcoming by-elections. Approval for her standing in the coming poll was granted Monday. The State Department also said the easing would make it easier for the Burmese government to access limited technical assistance from the IMF and the World Bank. This should please businesses lining up for entry into Burma, an isolated country that’s relying on the government to build basic infrastructure for which IMF funding could prove crucial. The decision amounts to a partial waiver, and will allow the IMF to establish in-country assessment missions. However, Washington insists Naypyidaw must continue with its reforms – and do much more – before remaining sanctions that have been in place for decades and locked the country out of trade relations with the West are lifted. Tomas Quintana, United Nations human rights envoy, has just spent six days in Burma meeting government officials and Suu Kyi. He was allowed access to political prisoners and said afterwards that April's elections would be a key test for Thein Sein. Forty-eight parliamentary seats will be contested at the poll to fill a vacuum that followed the November 2010 national elections, which were harshly criticized as a sham by the West. However, even if Suu Kyi’s National League for Democracy does well in the Lower House elections, their representation in parliament will be minimal. The house has 440 seats, of which 25 percent are reserved for the military. The House of Nationalists has another 224 seats. Also crucial to the lifting of further sanctions will be a resolution to Burma’s long-standing ethnic conflicts. Of the major groups, Thein Sein says ceasefire agreements have been reached with the Karen and Shan groups, while talks were ongoing with the Kachin. All want greater autonomy, and any ceasefire shouldn’t be confused with a formal truce. Rebels are warning for their part that differences with the capital are far from resolved. It’s a sticking point that wasn’t lost on the U.S. State Department, which, at the end of the day, will have the ultimate say over whether Burma has done enough to warrant any further easing of sanctions.